Happy Election Day! Speaking of which, NHL All-Star voting begins November13th...get your mice ready. This year it will again be completely electronic. According to TSN, each team has at least two players on the ballot, so that means that EVERYONE should get their butts online and vote. No excuses such as "my team isn't represented" or "why should I care, my player won't make it anyway". Think of it as trying to overthrow the Yankees and Red Sox fans, or in this case the Leafs and Habs fans. As Russo said "vote early and vote often". I'm going to take a wild guess and say at least one Sen will be on the roster. Brian Rolston, Marian Gaborik, and Niklas Backstrom have all gotten the nod for the Wild. 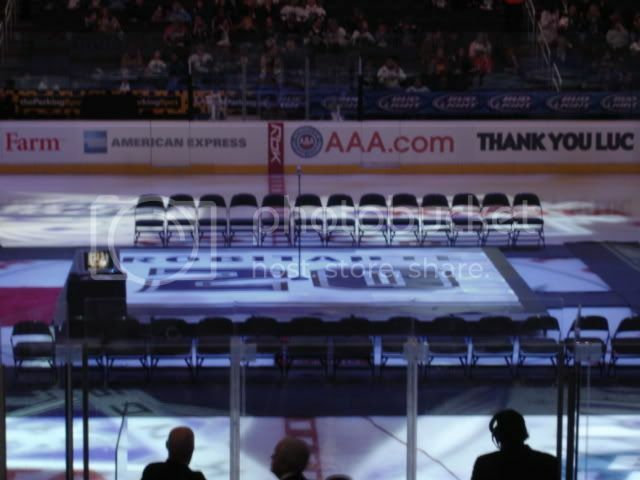 The 2008 NHL All-Star Game is being held in Atlanta of all places. It's gross, but what can you do? So about last night's game... the Wild won last night 5-2 over the Oilers. Mark Parrish had a pair of goals, and Jarret Stoll had a pair of penalties. That kind of sums up the game. The Oilers were absolutely killed by the amount of penalties they took, so I expect that MacT will not let that go on for long. I was still on internet probation from the Flames/Wild game + the Habs/Leafs game and part of the Avs/Canucks game. The school wasn't too pleased with me, but for what they charge for people to go here, we should have absolutely unlimited internet. Five long days from now we take a road trip out west to play all four of our division rivals in a row. In the meantime, I will be writing my term paper for my politics class. That should be about as much fun as listening to Brian Burke talk. Woot. Rolston got rid of the landing strip!! He's actually kinda cute! Note: The picture of Gaborik is really old, but the other two are from this year...I think. Rolston's for sure is. Rolston lost the soul patch?? Oh well he's still got the hardest shot in the league. Vote for Rolston cause we need to see him in the actual Hardest Shot Competition this year, it made me mad wondering why he didn't shoot last year. Wasn't it Ryan Smyth in the hardest shot competition or something equally as stupid? I think Mikko Koivu got screwed. He has been awesome for us this season, but isn't really recognized in the league. Gaborik hasn't been healthy long enough to deserve my All-Star vote. Something at least that stupid. yeah Gabby's got groin problems, just look at that mugshot, he ain't foolin anyone. Jr. Koivu's starting to hold his own, getting better and better, growing on me. Sometimes a groin injury never fully heals apparently. I was listening to the trainers tell this to one of my friends here at school. Hopefully this isn't one of those times. I'm really started to like Koivu. If he keeps this up, he might be better than his brother. Gaborik Apologizes and the Wild Win!